Today, Commissioner of Public Lands Hilary Franz announced a nearly $90 million package of aquatic habitat protections and improvements to be carried out by the Washington State Department of Natural Resources (DNR). 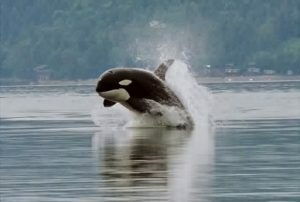 Puget Sound’s southern resident orcas have declined to a 30-year low of just 74. 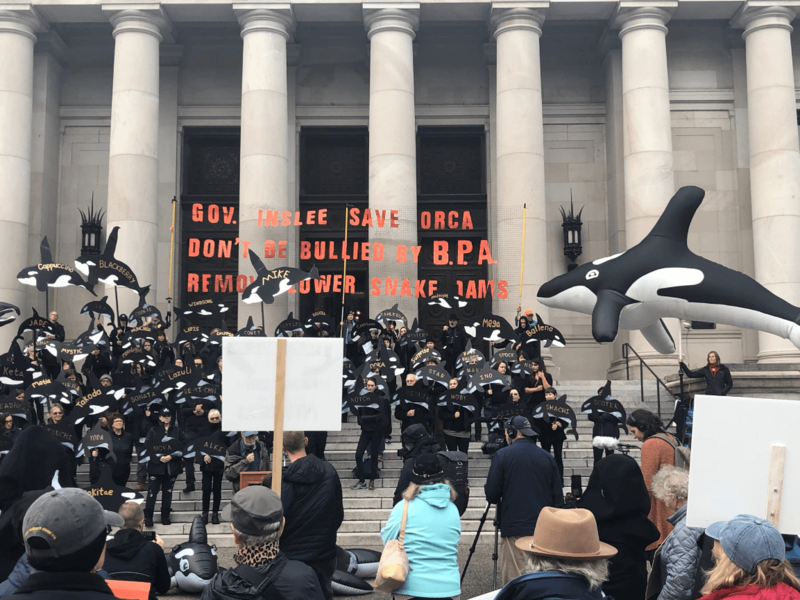 According to Governor Jay Inslee’s Southern Resident Killer Whale Task Force, the decline in orca populations is primarily driven by vessel traffic and noise, toxic contaminants in the water, poor nearshore habitat, and declining prey, particularly Chinook salmon. Committing to restoring aquatic environments:$7 million from the state operating budget to provide permanent funding to protect the aquatic food web by removing legacy toxics, restoring eelgrass beds, and removing marine debris. Developing adaptations for ocean acidification: DNR scientists are leading efforts to assess ocean acidification and geoduck research amid climate change. The $1.5 million request will advance this research, including critical links between zooplankton and salmon, while helping shellfish growers and others dependent on healthy aquatic environments adapt to changing marine conditions. Investing in urban forests to lessen stormwater runoff: Stormwater runoff is the number-one source of pollution in Washington’s waters. 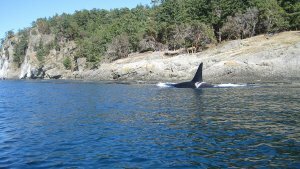 A $2.1 million investment in urban forest canopies will decrease toxic stormwater runoff into salmon and orca habitat. Removing large, hazardous derelict vessels: $5 million in capital funds to remove vessels that endanger habitat and navigation channels but are too costly for DNR’s derelict vessel budget. Funding Puget SoundCorps: $8 million capital budget allotment to expand the efficient, effective work Puget Sound Corps crews do restoring salmon habitat. Protecting vital conservation lands: $1.5 million to fund maintenance efforts on DNR’s natural areas – places that preserve Washington’s most distinct and threatened environments and provide natural resilience to climate change. Helping families who own small forests to enhance habitat: $1.6 million to fund experts to help landowners enhance habitat and comply with timber regulations, plus $23 million in capital budget requests to help forest owners maintain protective buffers around streams and unstable slopes. Reviewing forest roads: $800,000 to ensure new roads protect public safety and prevent sediment from degrading streams. Removing barriers to fish passage: $31 million in capital budget requests to remove barriers, such as undersized culverts, on state lands, private forests, and partner agency lands. Furthering knowledge of landslides in glacial geology: $1.4 million to study the mechanics of landslides in the SR 530 corridor, which will contribute to public safety and riparian concerns and inform future research in 18 Washington counties where glacial geology also exists. Commissioner Franz’s budget package has received support from Washington’s tribes, environmental advocates, and industry leaders. This press release was provided by the Washington State Department of Natural Resources.